Sketchfab Community Blog - o/ Today, the browser (and WebGL) wins! Our mobile version too. Edit on September 17th 2014: iOS8 is now available! 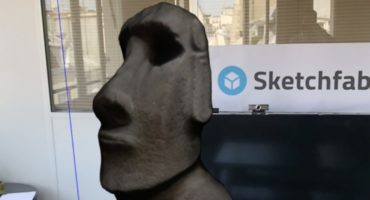 When we started Sketchfab 2 years ago, we took the bet that WebGL would become THE standard to display 3D graphics in a browser, as it was meant to scale on any platform. This was the surest way for us to build a product which scales: make it once and for all, for the browser. But when we started, WebGL was far from being a standard. It was mainly supported on Firefox and Chrome only. IE finally announced WebGL support earlier this year, and now with the Apple announcement, their is no more barrier for displaying 3D models in full glory on Sketchfab EVERYWHERE. The good news is that as we kind of knew this had to come eventually, we made the new version of Sketchfab completely mobile ready. Here are some screenshots of the mobile version.